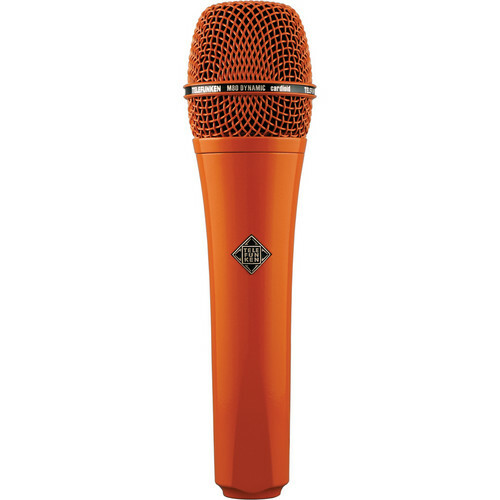 Presented in an orange body with an orange grille, the Telefunken M80 Custom Handheld Supercardioid Dynamic Microphone delivers the sonic essence of a condenser in a rugged dynamic design. It features a wide 50 Hz to 18 kHz frequency response and high maximum SPL of 135 dB, making it equally suitable for voice, instruments, or drums onstage and in the studio. The M80 is designed to be an alternative to the midrange-laden character of most dynamic vocal microphones. 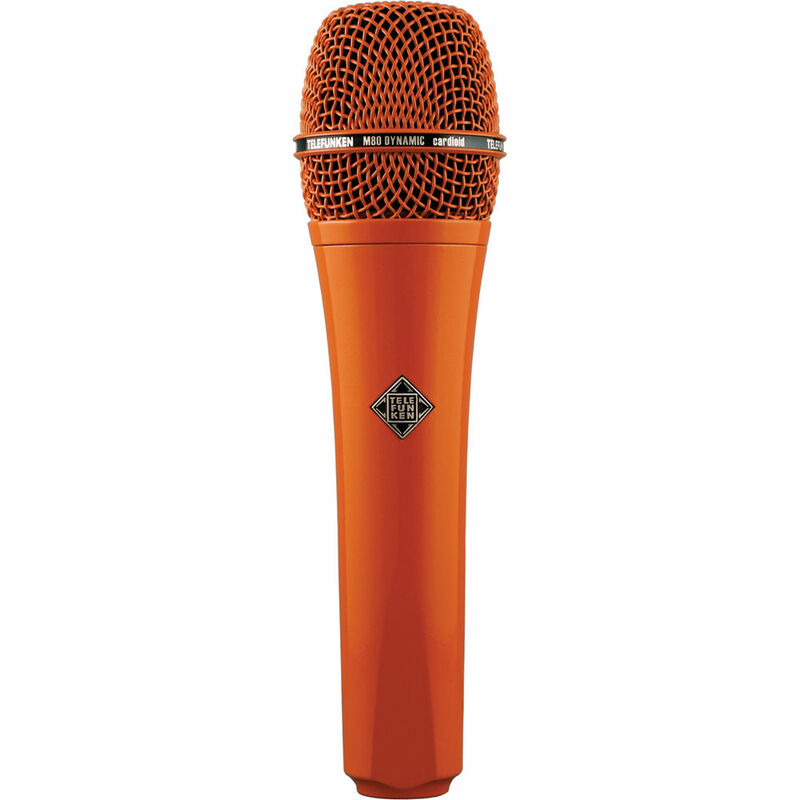 Box Dimensions (LxWxH) 9.4 x 3.5 x 2.7"
M80 Custom Handheld Supercardioid Dynamic Microphone (Orange Body, Orange Grille) is rated 5.0 out of 5 by 1. Rated 5 out of 5 by Dex from Great Mic! Very clear sounding Mic! It was so clear that we were able to fine tune the live vocal reverb at band practice. It also has a nice design and a good weight to it. It feels great in the hand. It has a wide spectrum so you do not necessarily have to position it right in front of your mouth for good results. Overall I am very impressed. If you are looking for a live vocal mic upgrade look no further. is this a cordless microphone? The Telefunken M80 is not a wireless mic. This is a dynamic handheld that needs to be connected via cable. does it have a Bluetooth? The M80 is a dynamic wired handheld mic with no Bluetooth or wireless capabilities.